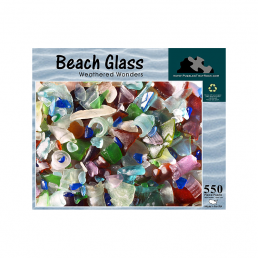 A wonderful and colorful collage of beach collector items. 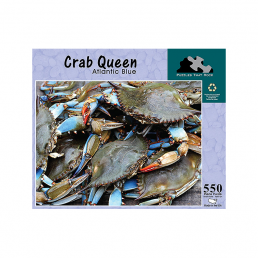 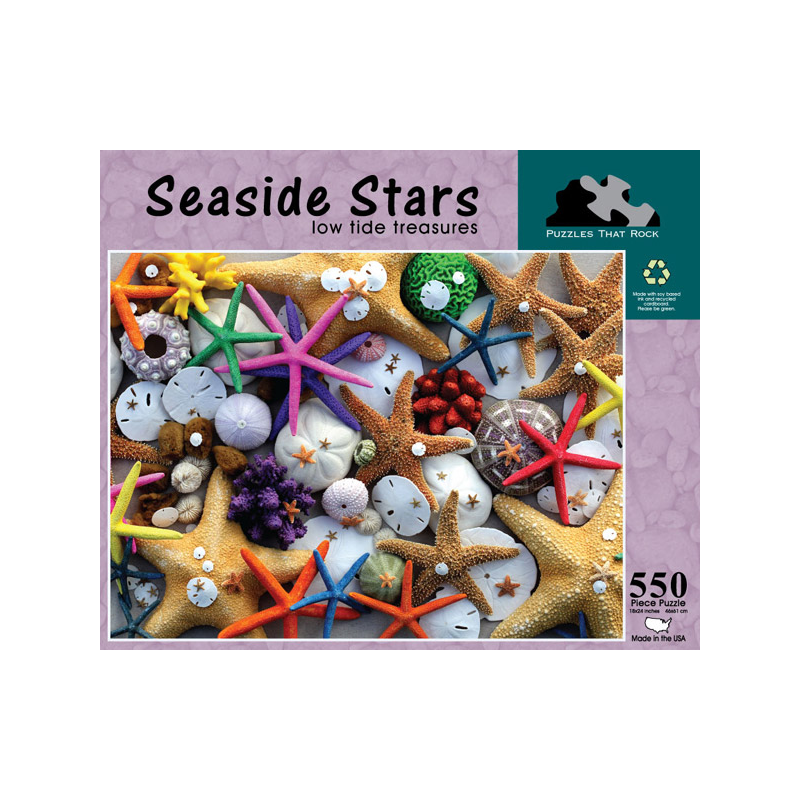 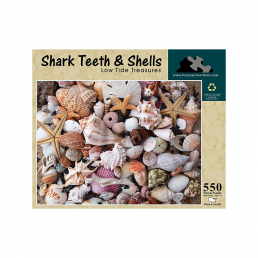 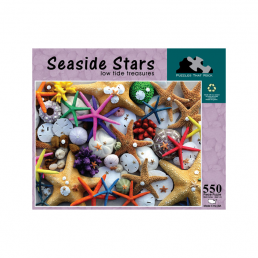 This 550 piece puzzle is 18×24 inches and is made in the USA. 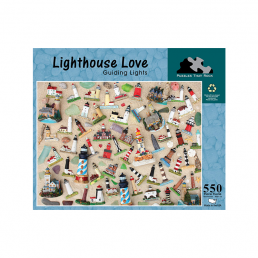 This Puzzle is made with soy based paint and recycled cardboard.